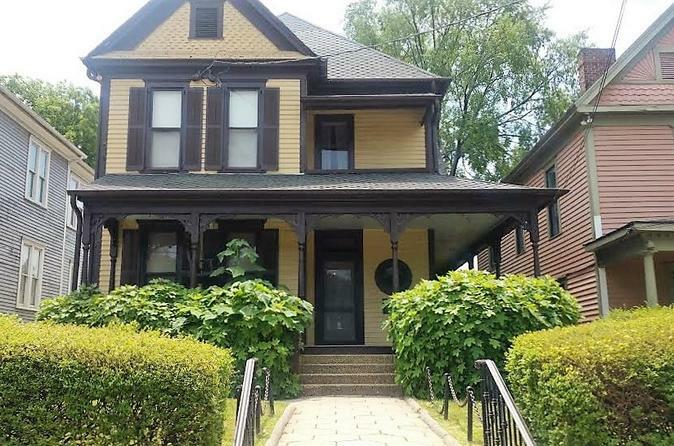 This small group tour in Atlanta is an overview of the life of Dr. Martin Luther King, Jr and his impact as a leader of the civil rights movement. Visit Dr. Kings childhood home, Ebenezer Baptist Church, Dr. Kings Tomb. We will visit many other historical locations throughout Atlanta that are central to his fight for freedom and his legacy. Your tour includes hotel pickup and roundtrip transportation. Explore Atlanta and learn about Martin Luther King Jr's life and work in the civil rights movement on this small group heritage tour. Begin your day at the Martin Luther King Jr. Center. Established in 1968 by Mrs. Coretta Scott King, the Martin Luther King Jr. Center for Nonviolent Social Change (“The King Center”) houses more than 10,000 documents from MLK's personal collection and from the civil rights movement. You'll visit the Atlanta University Center, a prominent center for higher learning where Dr. King attended university. The center is home to Morehouse University for Men, Spelman University for Women, and the coed campus Atlanta University. which first opened its doors in 1869. Stop by MLK's favorite soul food restaurant and one of Atlanta’s best loved diners, Busy Bee. True southern style cooking in a humble down to earth setting satisfies the appetites of the downtown lunch crowd to this day. Please note this tour provides an alternate historic soulful restaurant. Restaurants are well known meeting places for the architects of the civil rights movement including Andrew Young, Maynard Jackson, Vice President Al Gore, and Dr. Martin Luther King Jr.
You'll also visit the national park encompassing Kings' birth home, Ebenezer Baptist Church, and MLK's final resting place. This tour will guide you through Atlanta, the civil rights movement, and Martin Luther King, Jr's life- a must for anyone eager to absorb some of Atlanta's rich history.